As a small- to mid-sized wholesale distributor, your day is already busy enough without having to stop and research the best ERP for your business. 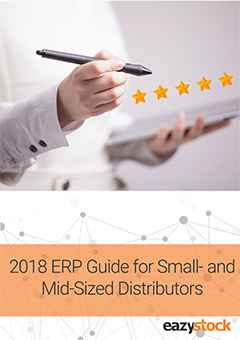 That’s why we’ve put together this guide for the top 2018 US ERPs for wholesale distributors like yourself! Download your free copy and discover what capabilities you should look for in an ERP, where the ERP market is headed, and how you can get started with an ERP. Also discover the top ERP systems used in the US by companies like yours and see how they compare.